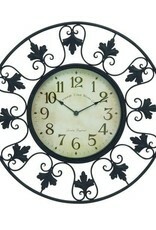 Home / Metal Outdoor Wall Clock with Fleur de Lis Accents 23" Dia. 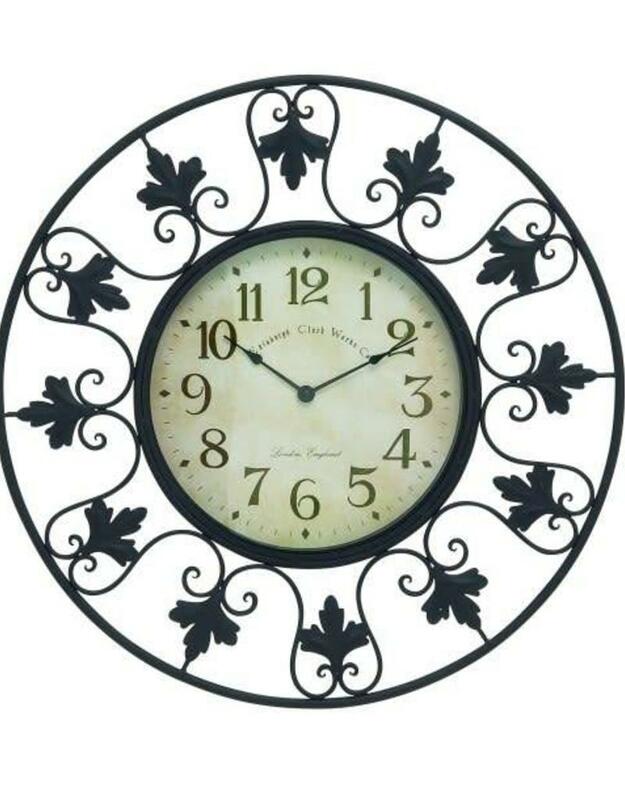 Beautiful all-weather clock with Fleur de Lis accents in a matte black finish. Overall dimensions - 23 inches in diameter. Clock face is 11 3/4 inches in diameter Battery powered.